This statistic shows the activities performed reagularly on a tablet, by tablet users in the United States in 2011 and 2012. In 2011, 58 percent of respondents stated that they regularly listened to music on their tablets. 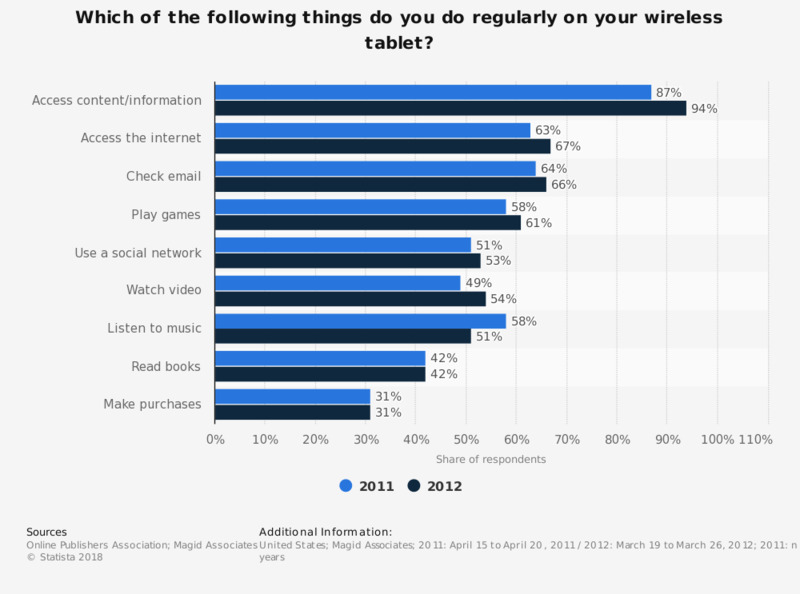 Figures for 2011 come partly from the "A Portrait of Today’s Tablet User 2011" study.